Check out the Tinkazette! It has some new information about the New Egg! If you need any help with it, Just CLICK HERE for a Hint about how to find it! Again, Trader is off. 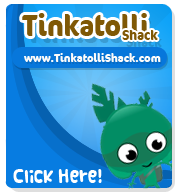 He'll be back soon at TinkaTolli! Do you like this egg? Let us know in comments! Collect all 12 Eggs and Get the Egg Hunt Redux Badge! Which egg is the cutest?